A gourmet staple that's a favorite ingredient among chefs, our porcini powder can now be your secret weapon in the kitchen. Unleash the power of porcini! Are you looking for depth of flavor and nuance in sauces? Or perhaps a little je ne sais quoi in your meat rubs? It's time to let you in on a cooking secret: porcini powder. This finely pulverized powder is made from dried wild porcini mushrooms. Well known for intense woodsy flavor, porcini only seem to get better when they are dried. We consider pulverized porcini a magic powder, and use it frequently in just about any recipe. We like to call it an"umami bomb," but it's been flying under the radar. 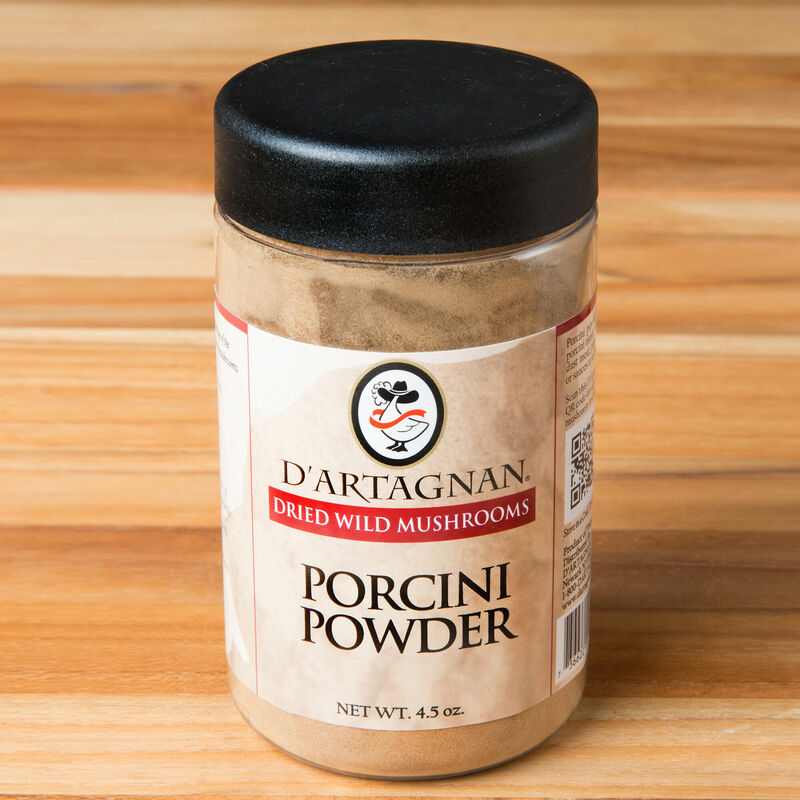 Porcini powder is especially useful for adding depth to sauces, soups or for enhancing the flavor of other mushrooms in your favorite recipes. Use it as a seasoning on meats, poultry or seafood. Add some "magic" porcini powder to breading or flour before dredging meat, fish or poultry. Add it to homemade pasta or sprinkle it over any dish where you want to add a little porcini flavor.